This platter is the perfect addition to your game day party. 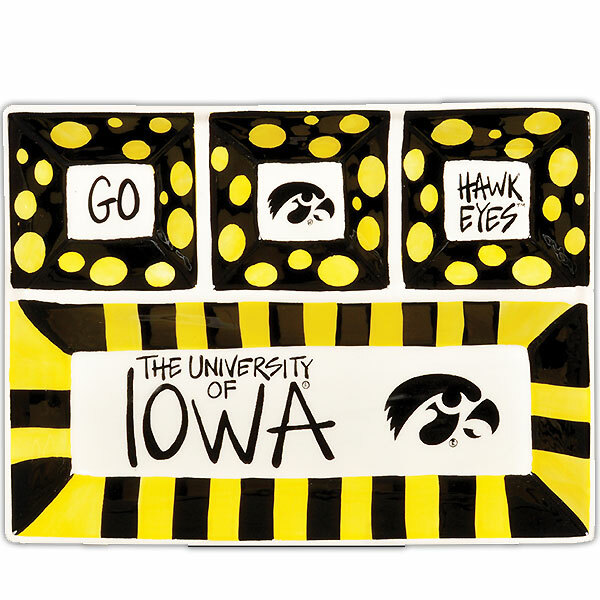 The Iowa Hawkeyes 4-Section Platter proudly displays Go Hawkeyes and the Hawkeyes logo along with the University of Iowa. This vibrant gold, black, and white platter will be a favorite for years to come. Brought to you by Magnolia Lane.